I’ve often thought I’d like to write an end-of-year wrap-up letter that included things like being grateful for an early parole, finding a great deal on toilet paper at the dollar store, and how glad we were that the hens started laying again after that scare with all the police sirens at the birthday party. Maybe I will someday. I do enjoy the “Christmas letter” updates we get from friends, and honestly it’s good to learn about what their families are doing. It underscores the essential nature of friendship, that friends share in good times and bad, through days and into years. My friend Jay Z. has taken up a theme of telling what he learned during the year, and I especially like that way of doing it. His “What I Learned in 2014” is thoughtful and worthwhile, including a reading recommendation that has changed at least one life for the better. Admirable. When Stormy and I lived in Bulgaria, it turned out that we missed celebrating Christmas there. We were visiting back in the States each of the two Decembers that we would have been in-country, both times for family emergencies involving hospitals. 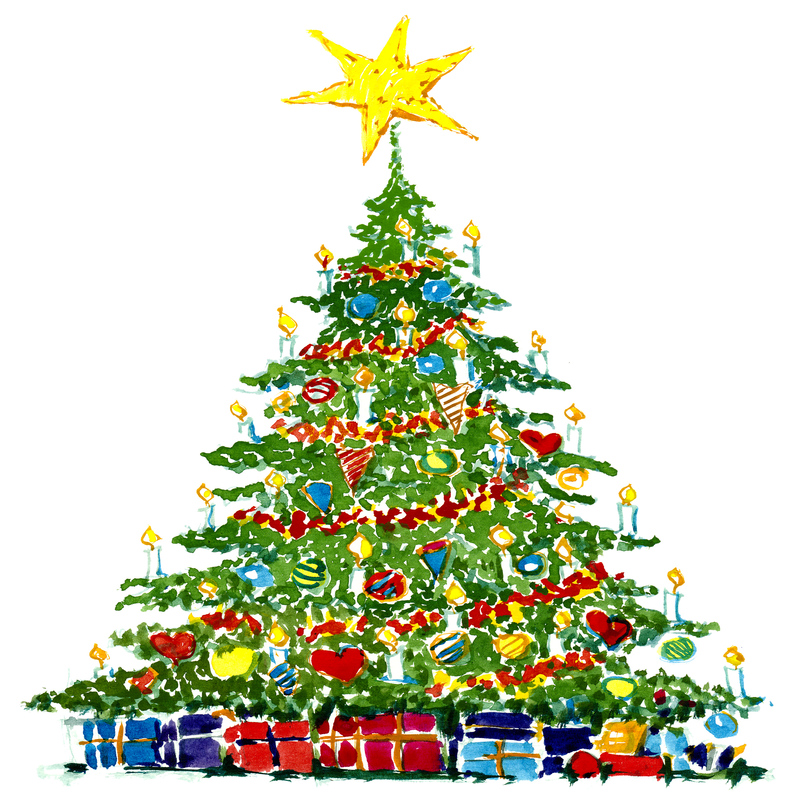 (As I like to say, “It’s in the book.”) We learned, though, about Christmas traditions and customs in a variety of ways before and after the holiday. For the 40 days before Christmas (as well as before Easter), many of the Bulgarian Orthodox faithful observe the rule of fasting, avoiding “all animal products except honey.” Focusing the mind on such a discipline for cleansing body and soul gives a far different flavor from our holly-jolly-caroling-sales-starting-before-Halloween kind of Christmas spirit. A week before Christmas, transiting Sofia between the train station and the airport, we didn’t see any Christmas decorations or crowds. No strings of multicolored lights, no fake icicles, no Santa Clauses leering at passers-by. No holiday madness. “It was a Thursday when we got back [from the States, after New Year’s Day], and then on Friday we went to see Pavlin and Krassi in Panagyurishte. Since we had missed the Christmas and New Year’s celebrations they shared a special Christmas meal with us. “Then the next day, Fani and her family came over to our apartment to welcome us home and, like the Bogoevis, share some holiday spirit with us. Fani wanted us to know about a ceremony traditionally done between Christmas and New Year’s by groups of carolers, young boys called sourvakari. She got young Hristo to demonstrate the ritual for us. He came prepared with branches of a dogwood tree, and lightly tapped us on the back with them while singing a certain chant. This would ensure good health, long life and prosperity. In exchange for this blessing people offered the boys treats or coins. 2014: Koledarche. 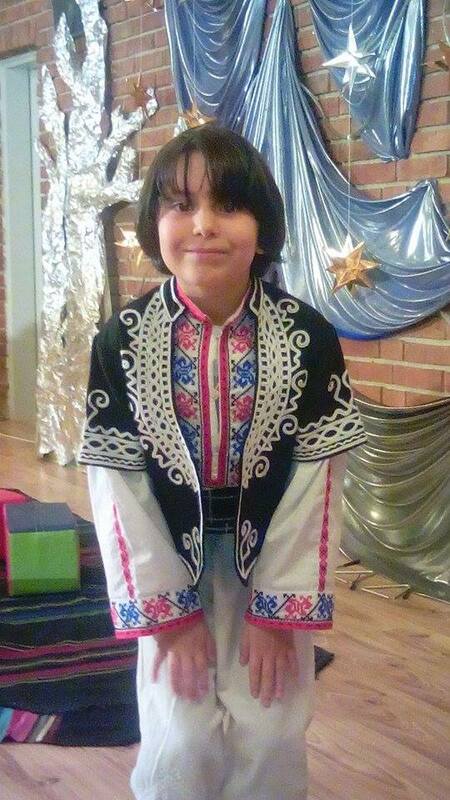 A friend’s young son, dressed in traditional costume for Christmas festivities. “We felt properly blessed, not just by the ritual of the sourvakari though it was nice, but more, by having friends who were concerned that we not miss out on the benefits and blessings given by the tradition. In telling about Bulgarian Christmas traditions, though, no one said anything about writing Christmas letters detailing the family’s activities and accomplishments. That might be a uniquely American thing to do. So, as a unique American, I owe you one. With thanks for Jay for the theme, here goes. I learned some things in 2014. I went to an elementary school spelling bee and learned that there are students of that age who have sharper skills than some teachers. I learned some things about school-age organized lacrosse, how the boys get to whack at each other with sticks while going for the ball but the girls don’t, and I wonder why there is still that difference; the girls are no less athletic or committed to the sport and to the spirit of competition. I went to a school band concert and witnessed music being born — what a thrill! I saw arts and engineering skills being teased out of tiny wooden race cars being designed, sanded, polished and aligned. I went to a May Day celebration with flower wreaths and dancing around a Maypole. I played tag, and hide-and-seek. In all these kinds of events, being there to see and enjoy young people gaining in skill and enthusiasm, I learned the value of persistence and effort. In the passing of the much-admired, wise, and generous Patriarch of our family, I learned there can be as much grace and love in dying as in living. That love is given and received in a thousand ways that are never seen but always felt, and in a thousand more in plain sight. Another elder in my life, my uncle, left this life as Stormy and I sat with him, holding his hand and stroking his cheek. He did that for me when I was a baby — his sister, my mom, told me so — and the lesson was about full circles. I learned that when I get dressed if I put my shirt on first I don’t have to stand holding up my trousers with my knees apart to get the shirt on before tucking it in and buckling my belt. I learned (yet again) that it doesn’t matter where you live if you’re with people you love. I was continually reminded that children have their own wisdom but are always seeking more. And finally, at least for this Christmas letter, a lesson from the community of transplant caregivers and candidates connected with Duke University Hospital here in Durham. It is a lesson worth learning and relearning over and over. The power of love knows no boundaries and no limits. It gives breath to the breathless, warmth on the coldest of nights, and meaning to life. This entry was posted in About the People, Life After Peace Corps by Bruce McDonald. Bookmark the permalink. Amen- to being grateful for family and friends that surround you. Thanks for reading, Noreen! It’s a privilege to count you among our so-supportive family members up and down the East Coast. I have a feeling that you’re an angel. Anyone who knows you is lucky. If you send me the words to Candy on a Tree we can sing over the phone with everyone in your family who knows it. Ooops. I don’t know how to do a conference call, so maybe several people, two phones. Thanks for sharing your Christmas letter. Feel free to share a New Year’s Letter, Passover Letter, Any Excuse to Write Letter. Judi, you make me blush. It was great singing that little song with you but it seems like it was years ago. Probably because it was years ago. Maybe we can sing it again when Stormy and I come visit California sometime next year. I’ll bring the words, you hire the hall. Here’s the song so we can practice: Candy on a Tree. I continue to be astounded at your literary prowess, who woulda’ thunk it? Sorry I had to miss the pilot training reunion, I would have liked to find out how much better we used to be. Best wishes to you and Stormy and to your family. We missed you at the reunion, but since you know how flying stories resemble fish stories, I’m sure you can fill in the blanks. If you want to catch up and see how we’ve all retained our youthful good looks, we put some pictures up here: Denver Flying Fokkers Reunion. Catch you next time, I hope — Ed Webb is talking about getting something together for 2016. What a beautiful expression of this year, Bruce! Thank you. Love! Bruce you are an angel – A kind and gentle soul! Thanks for reading our newsletter and sending us yours! Can’t wait to get to see you when you’re back in Colorado. Please come see us! We’ll open some beers. Hi Stormy! Wishing you both a Happy New Year! I just finished reading your Christmas letter and as usual you did not disappoint. I love how you express yourself and esp. enjoy your sense of humor. I realized reading the letter how very lucky I am to know you. You have been an inspiration in my life. Hoping to see you next time you are in Colorado. Hello to Stormy and Jason and Family.